For more information about the Literature and Society: English, visit the VU Amsterdam Website. The focus of this programme is on the interactions between literature and society, and literature and visual culture. You will read canonical British works, and also explore contemporary novels from different English-speaking countries. In our courses, you will analyze these texts from two cutting-edge perspectives: English literature in a changing world, and English literature in a visual culture. How does literature react to major changes in society? Think of the attacks on the Twin Towers and the novel Extremely Loud and Incredibly Close. In our courses you will discover how literature can also cause social change. A famous example is Uncle Tom’s Cabin, which played an important role in the abolition of slavery. Literature has the power to change readers’ ways of looking at the world. The novel 1984 raised concerns over government surveillance of its citizens. In other words, literature is not positioned at a remove from society, but at its very center. Studying English literature therefore also entails studying the major social developments in various English-speaking countries. A story is hardly ever told only in words: nineteenth-century novels were often illustrated, and contemporary fiction is marketed by its cover image. But the relation between word and image extends beyond illustrations. The same story can be told both in a novel and in a film. The analysis of literature is therefore inseparably connected to knowledge of visual culture. Our programme is taught by a young, dynamic, and award-winning staff who teach courses on the interactions between literature, visual culture, and social change. You will work in relatively small seminar groups, where you will be motivated to engage in critical discussions, and where you have the opportunity to grow in your personal development and follow your individual interests. Our vibrant student community invites you to join them in a variety of extracurricular activities. If you are interested in doing an BA in English literature abroad, VU Amsterdam is an excellent choice! VU Amsterdam is known as a high-quality university with a social heart. You will benefit from the personal atmosphere and easy access to all facilities due to our campus setting, and still have the vibrant city of Amsterdam  including its museums, libraries and bars  close at hand. The Literature and Society: English programme is a three-year degree. 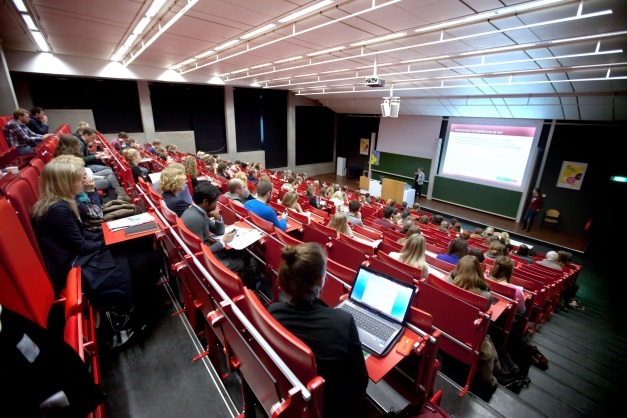 The academic year at Vrije Universiteit Amsterdam is divided into two semesters. This BA-program offers a unique opportunity to combine classic literature study with two cutting-edge specializations. You will read canonical British works, such as William Shakespeare, Jane Austen, Charles Dickens, Oscar Wilde, en Virginia Woolf. But also explore contemporary novels from different English-speaking countries. In our courses, you will analyse these texts from two cutting-edge perspectives: English literature in a changing world, and English literature in a visual culture. In the first year you are introduced to literary analysis and literary theory. You learn how to read a Brontë novel as well as a film version of a Shakespeare play. We train your general academic skills and also kindle your creative writing practice. After the first year, you have a solid base from which to explore the relations between literature, culture and society. We take you from the Renaissance to the twenty-first century, reading canonical English works of literature as well as new and lesser known genres such as travel literature, graphic novels and gothic genres. You become a specialist either in ‘English literature in a changing world’ or ‘English literature in a visual culture,’ and conduct your own research project, resulting in your BA thesis. A degree in Literatures and Society: English can open many doors for you. Each year, our graduates choose from a range of different career paths. Our graduates become high school teachers; work in translation and editing; become organizers of literary festivals; work in the publishing industry; become researchers both within academia (who write a Ph.D. dissertation after completing a Research master’s degree) and work for cultural institutions, government agencies, or NGOs. If you are considering further education, a BA in Literature and Society will qualify you to enroll in a number of Master’s programs.